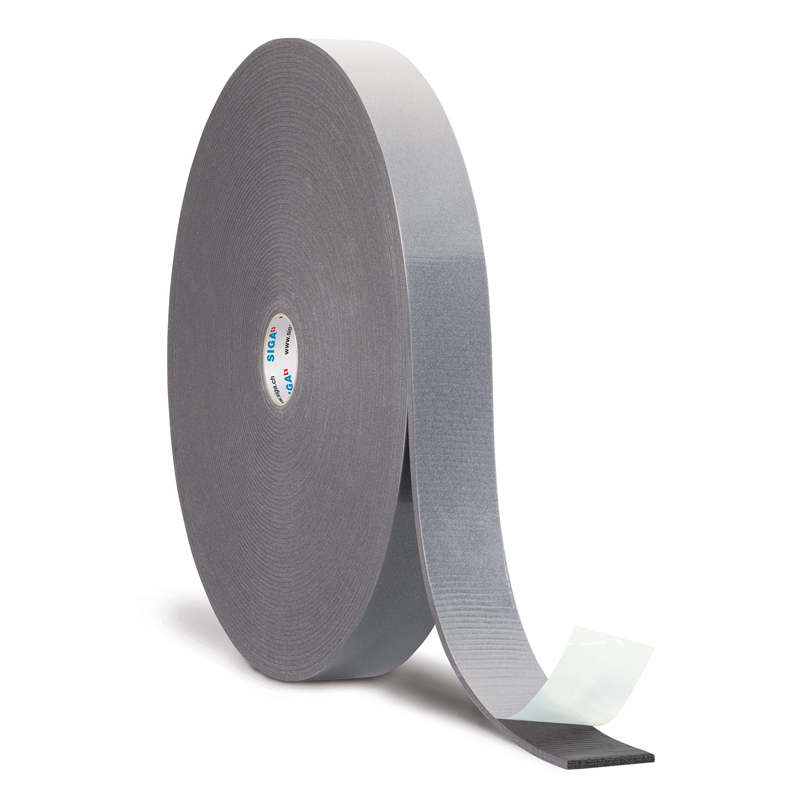 Wigluv black, the black, single-sided high-performance tape is perfect for windtight bonding of facade membranes for partly open facades. Bonds on overlaps, penetrations and window joints in the exterior are no longer visible thanks to Wigluv black. 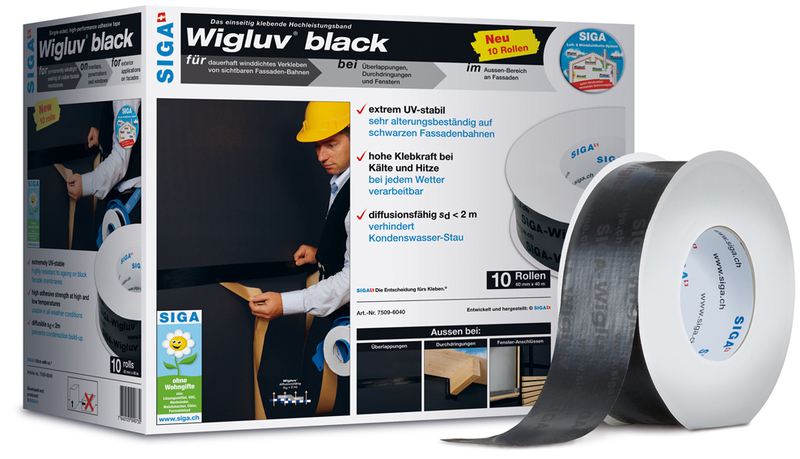 Wigluv black, the black, single-sided high-performance tape is perfect for wind-tight bonding of facade membranes for partly open facades. 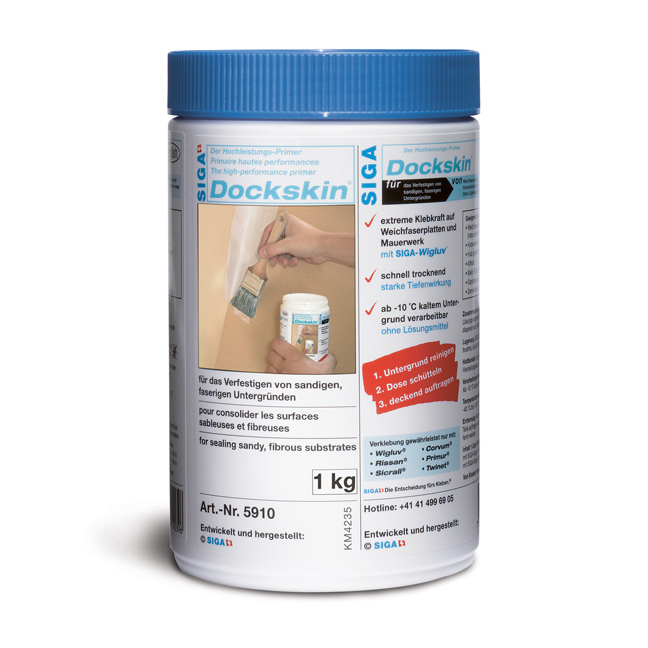 Bonds on overlaps, penetrations and window joints in the exterior are no longer visible thanks to Wigluv black. 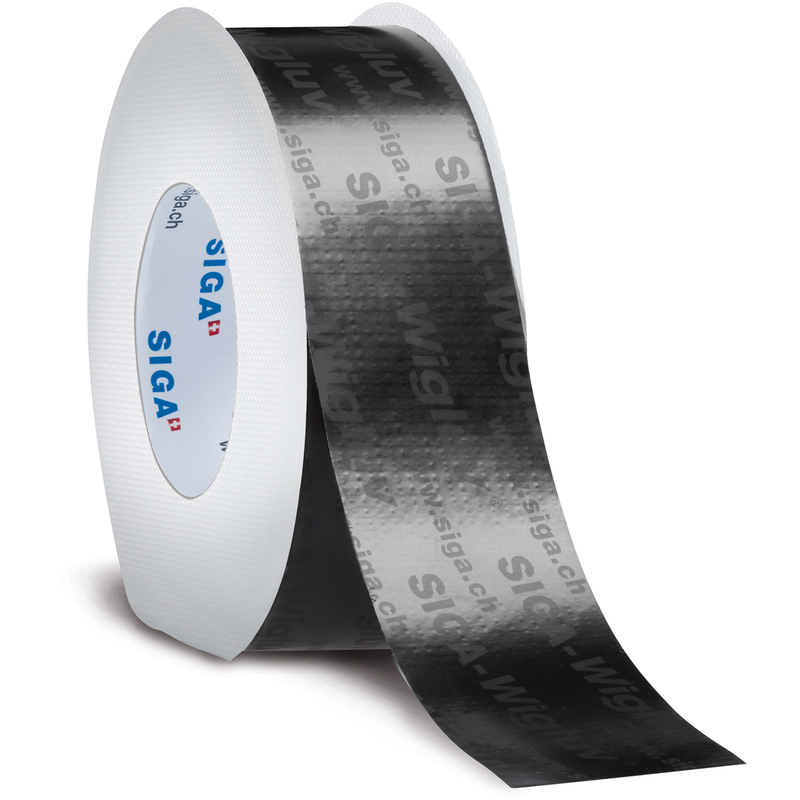 SIGA Wigluv Black 60 tape has a high adhesive strength at high and low temperatures, creating a reliable air barrier for a wide range of applications. 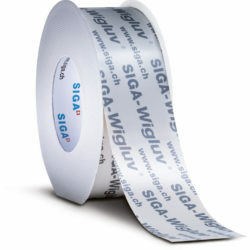 Wigluv Black optimizes the Wigluv system; the black color makes it extremely UV-stable, meaning that this tape is highly resistant to fading and aging. 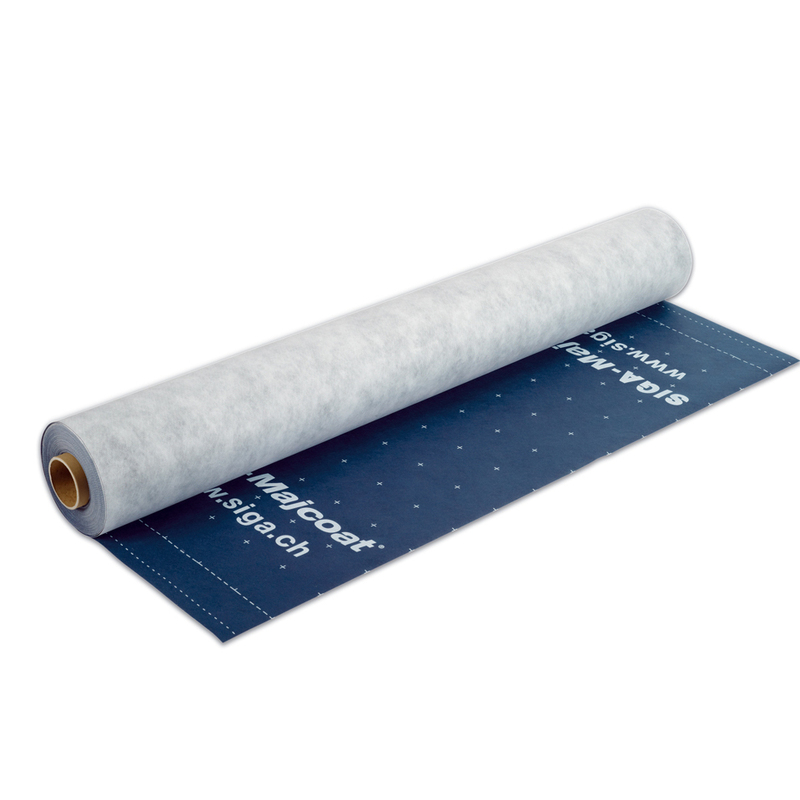 Also the color makes it great for taping behind open seam siding and other potentially visible applications.